NEGAUNEE — Tammy Carlson of Restoration Baking Co. has vast aspirations as she looks into selling baked goods at her own retail space and to continue helping women who have fallen on hard times get back on their feet. Tammy, who works alongside her daughter-in-law, Josie Carlson, said she started brainstorming ideas a few years ago of how she could do more for women who were recovering from addiction or abuse. She was inspired by the Celebrate Recovery program at Northiron Church when she was the secretary at its Ishpeming chapter, she said. “I thought about starting a business to help them clean and organize and all those things,” she said. However, in the summer of 2017, the owners of Iron River’s Contrast Coffee approached Carlson through a relative, asking if she would be interested in being the baker for their new Marquette location. “I thought, ‘Oh! There’s my answer,'” she said. After finding a kitchen to use in the second floor of the Negaunee City Center, Tammy started baking for the coffee shop as a wholesale business, as well as offering all kinds of baked goods to other ordering customers. Restoration’s lease is up in June, so Tammy and Josie hope to come across a storefront this year. So far, two women who went through the Great Lakes Recovery Work Program have been employed with Restoration Baking Co. and moved on to other things. Tammy said there’s also been one person from Superior Alliance for Independent Living and a high school student who’s in the process of completing an internship. The Carlsons are optimistic about finding a building where their baked goods can be sold and they can hire more women. Tammy, who began baking at a young age for family get-togethers, said she’s thrilled about how many people have reached out to her business. But not just for her family. 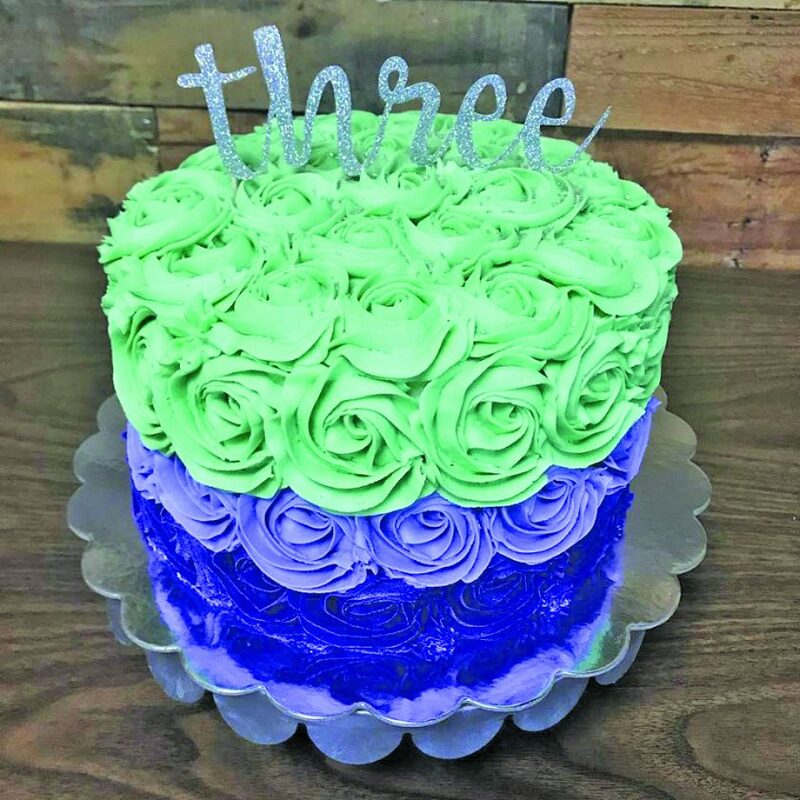 “We currently make custom cakes for birthdays, or whatever people want — weddings, graduations, baby and bridal showers, retirement parties, anniversary parties. Some people have said it’s the best cake they’ve ever had, so that’s a big compliment,” she said. Josie said they bake a little bit of everything — bars, cookies, pies, scones, muffins and salted caramel bars, which are especially popular among customers, she said. For more information or to make an order, visit Restoration Baking Co.’s Facebook page or call 906-235-7353.